Hello friends! I'm so excited to be teaching at "It's all about the Scrapbook" in Dixon, California July 22nd and 23rd. 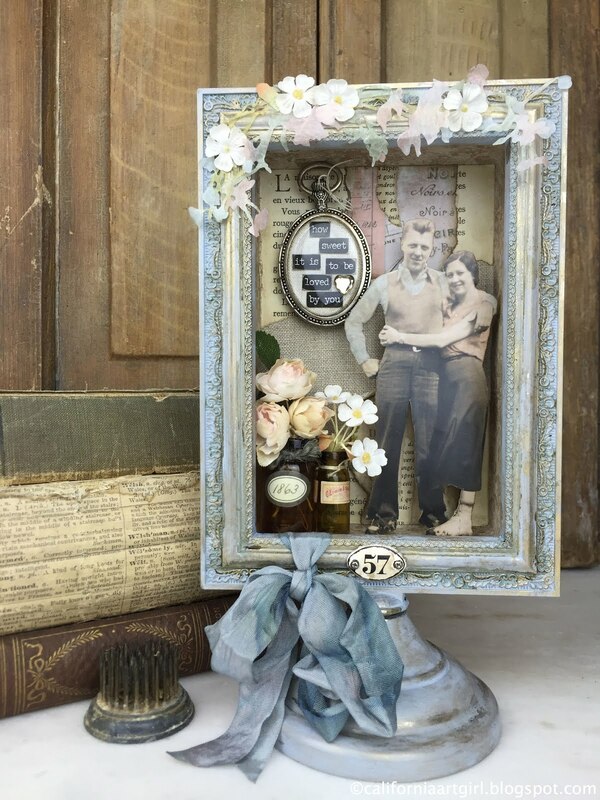 Transform an ordinary Tim Holtz Flip Frame into a charming vintage shadow box. You will be learning techniques using Ranger and Idea-ology products for photo tinting, painting to achieve the perfect vintage look, creating a layered background and more. Class includes everything but of corse you’re welcome to bring items or photos to personalize your project. "Exploring the Colors of Distress"
Come explore your creativity using some of the NEW Tim Holtz Distress products, Dina Wakley Media Board and Sizzix Alteration dies. 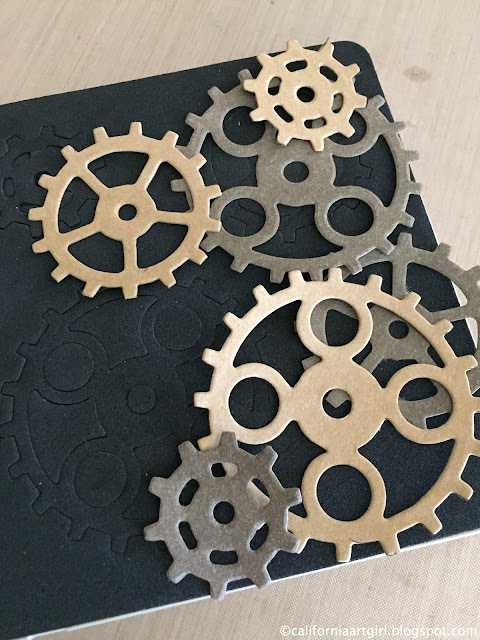 I will guide you through several techniques using the new Tim Holtz Distress Crayons and you’ll learn how versatility they really are. Coloring, shading, how they react when wet...the possibilities are endless. We will be creating 4 mini works of art to display in our Flip Frame, each art panel will be composed of different techniques and styles. Create beautiful memories using the Tim Holtz Mini Configurations book where there is lots of places to add special treasures. 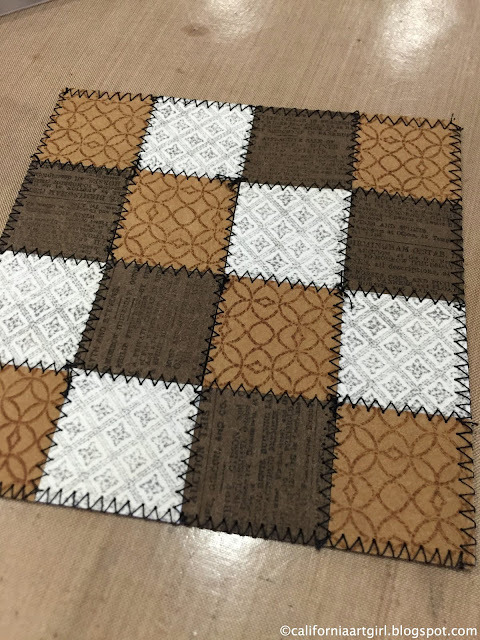 Class is filled with techniques using many Idea-ology and Ranger products that will transform the ordinary into an extraordinary family heirloom. Everything will be included in your class kit like photos, trinkets and even a few vintage items. If you’d like to personalize your project your welcome to bring family photos, mementos and treasures. 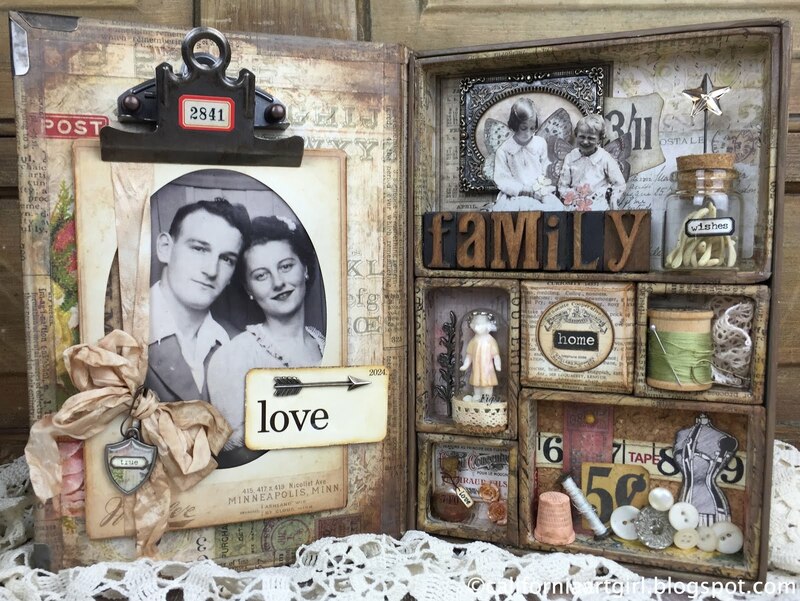 Call "It's all About the Scrapbook"
at 707-676-5252 for more details. 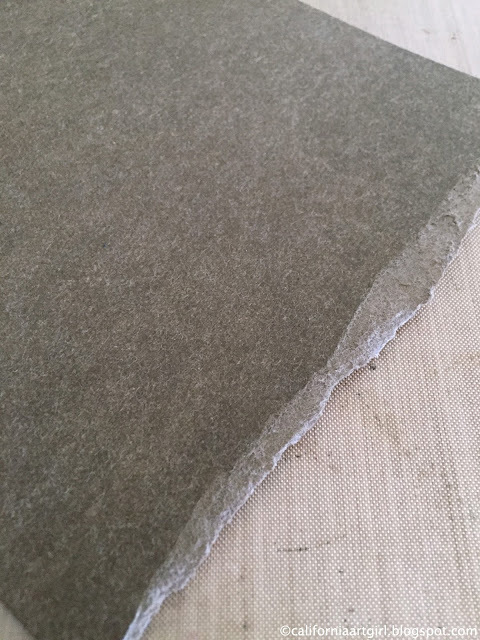 I love to experiment with new product…today was a good day to test what Substrate can do. What is Substrate you ask? 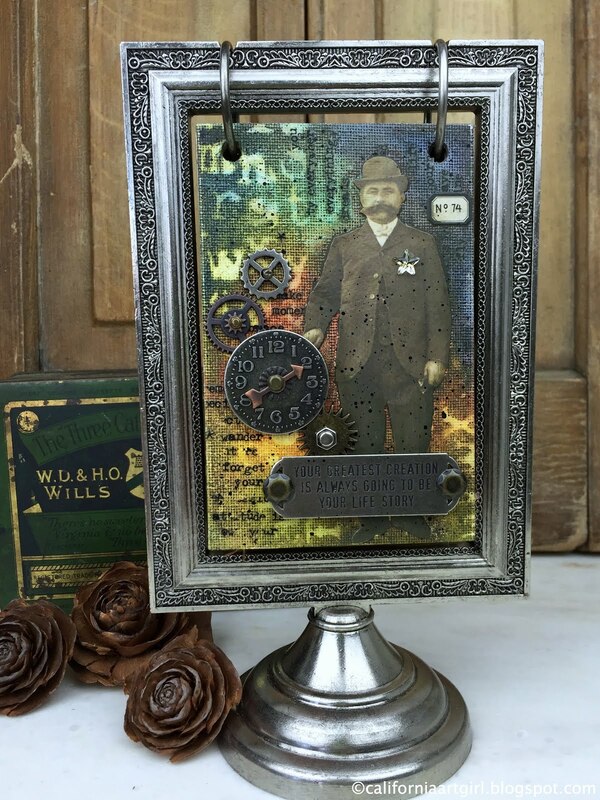 It's a Tim Holtz Product. It's a textured paper that is thicker then cardstock. 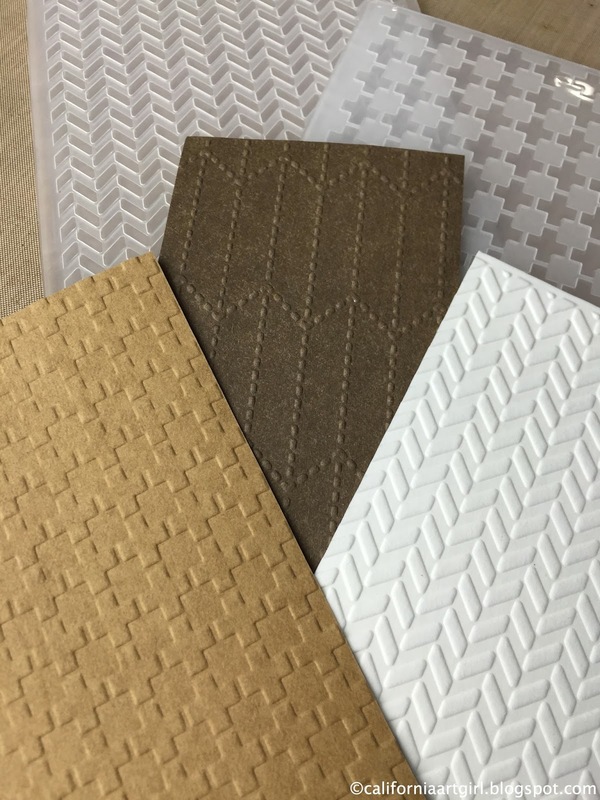 It comes in 3 shades…white, kraft and dark brown. It can be painted or inked. 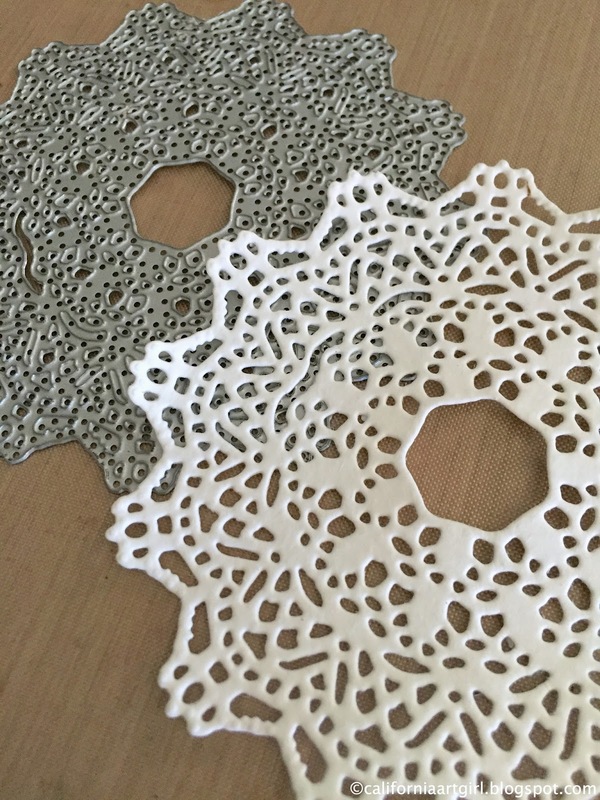 It's great for die cutting. It can be sewn and you know how I love to sew. 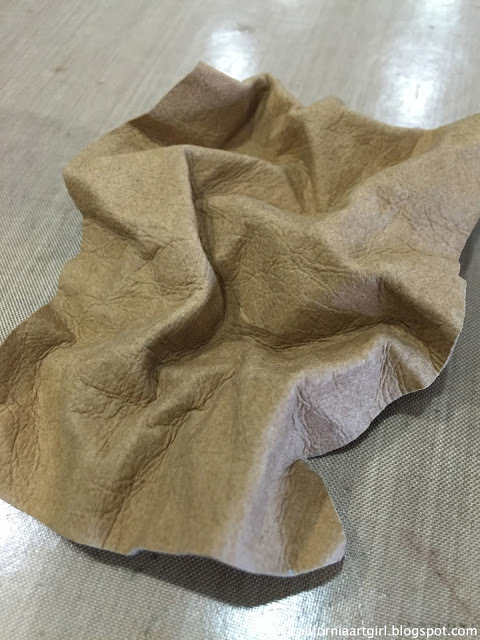 It can be crumpled up. You can stamp on it. Here are a few photos from my experiments. Snip the edge and then you're able to tear it. Love the layers that are exposed. Crumple it, works if you wet it or it can be dry too. I washed it after I crumpled it and it gave it the look of worn leather. 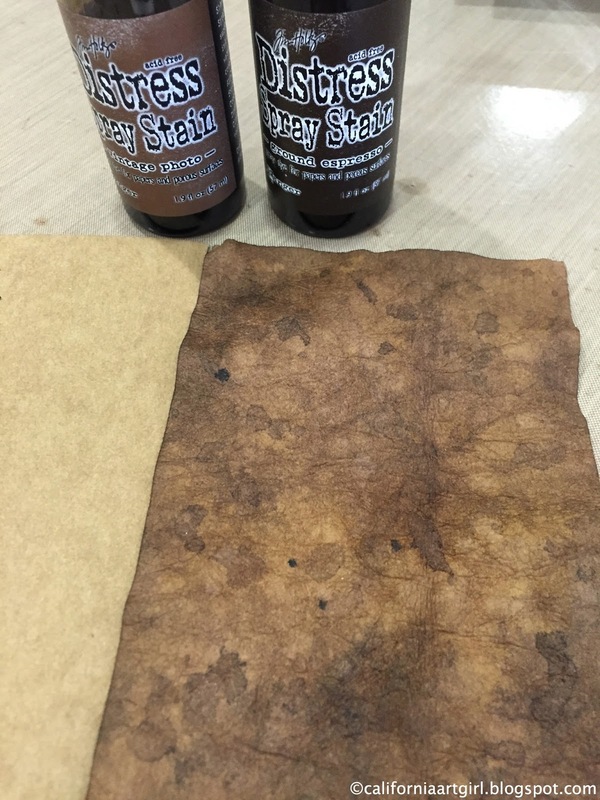 Use Distress Spray Stain to create a old weathered look. 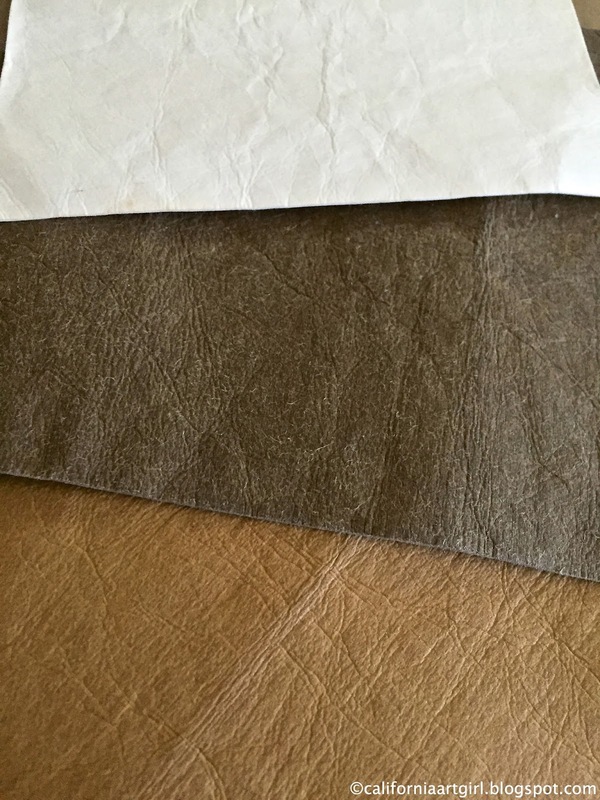 The swatch on the left is what I started with. Die cut with a Thinlit! Die cut with a Steel Rule Die. Love this Gadget Gears 2 Bigz Die. Stamped on the Substrate with Archival ink. 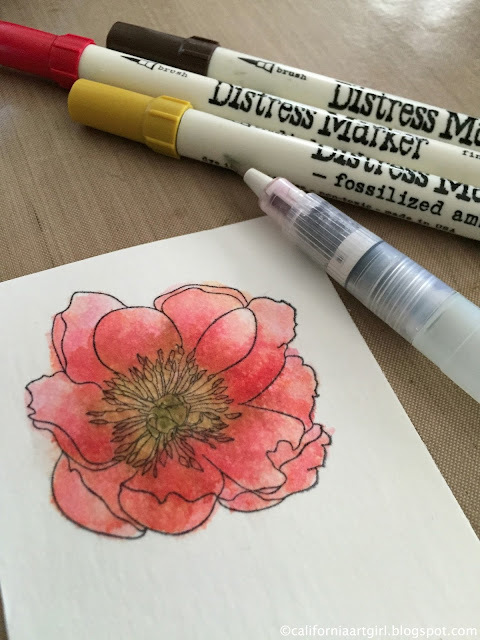 Colored the flower with Distress Markers and a Water Brush. This was a little surprising that the Substrate reacted a little like watercolor cardstock. I see more experimenting in my near future. 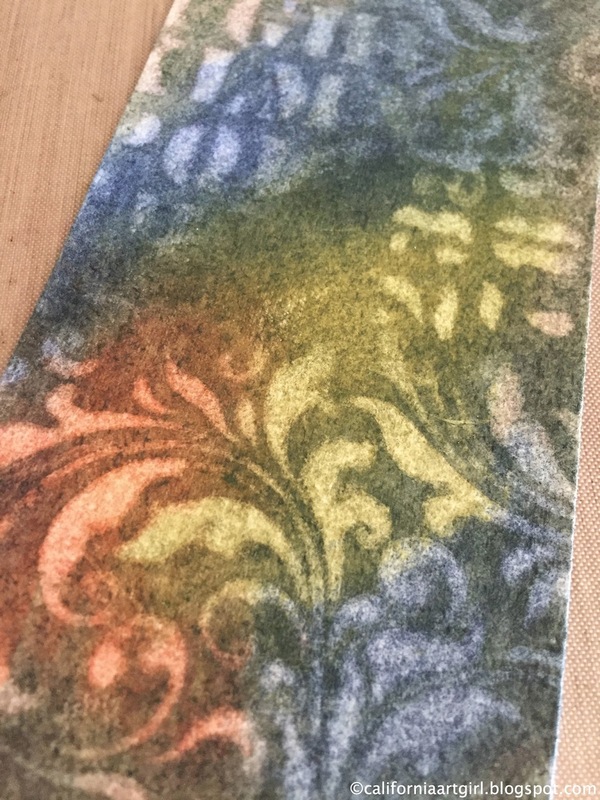 Colored with Distress Crayons then lifted color off through a Layering Stencil using a wet cloth. Oh my the possibilities. I had such a FUN day experimenting! I'm thinking of more ideas to try and can't wait to play again!